You've ridden the courses--seemingly the hard part. The numbers are called and it's time to jog your horse in for soundness. How does it all go wrong? 1. You can't get your horse to jog. The rider is clucking, pulling the reins, and looking pleadingly at her horse. The trainer and other helpful bystanders are flapping their arms at the in-gate. Still, he won't budge. 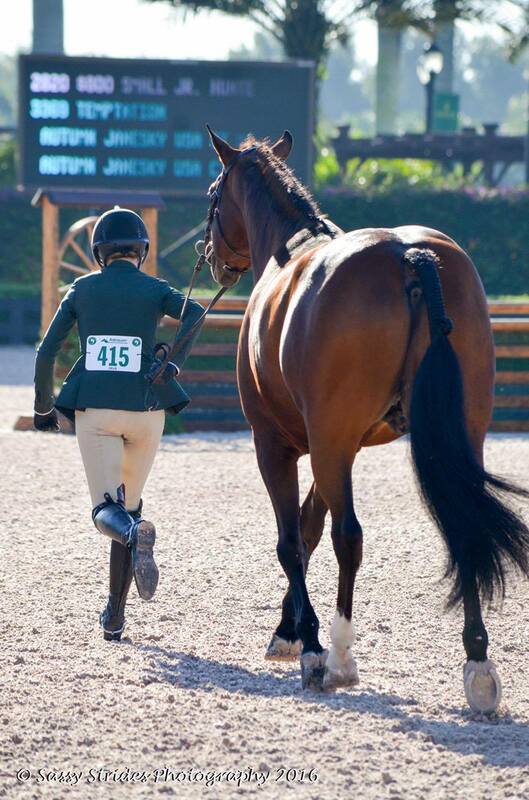 Practice at home so your horse knows what's expected of him. 2. You stop jogging halfway into the ring. What happens next resembles a multi-car pileup on the highway. Horses risk getting kicked, the judges don't get to see all the horses jog, and the whole thing needs to be done all over again. Keep going... and then keep going some more. Photo by Sassy Strides Photography. 4. You forget to listen to the jog order. Wait, did I get called third or fifth? After asking the patient in-gate guy five times when you were called, you jog in where you think you were and figure the judge will sort it out, which causes an unnecessary hold-up. Next time count where you are in the order and also try to remember who jogs in front of you.